A video showing young Jews wearing skull caps dancing in a lounge of Jordan’s Queen Alia International Airport, has gone viral, with Arabic internet users attacking it as “provocative” and Jordanian MPs calling for government action. 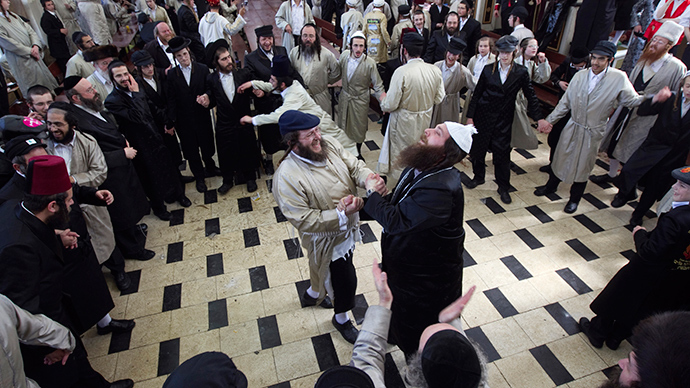 The young people in the video perform a traditional Jewish circle dance, while singing a wedding song in Hebrew. While no onlooker seems to be bothered by the dance, the online audience got much more emotional. “He who was sitting in the airport and saw the dance and wasn’t provoked is a pig,” The Jerusalem Post cited a post by Ahmad Abu-Haniyeh, who presented himself as a doctor in the Jordanian Health Ministry. Israelis “dance on our dignity,”“killed our beloved and then danced on our land,"“what a shame” were among other reactions to the video posted by Jordanians. Many said that Jordanians would never be allowed to perform their national dances at an Israeli airport. The video was also found offensive by Jordanian MPs, who raised the issue at a Tuesday session, attacking the government for “inaction” over the incident, The Jordan Times reported, describing the dance as “a ritual Talmudic” one. Interior Minister Hussein Majali tried to alleviate the tension by telling MPs that security personnel at the airport were quick to stop the Israelis from dancing. The Director of Media and Communication at the airport, Zahiya al-Na’asan, was cited by Al Jazeera Arabic as saying that "the management of the airport has not received a single complaint from any passenger about the incident that took place." She added that "unusual events and celebrations were not uncommon for airport lounges." Despite Jordan and Israel having signed a peace agreement in 1994, relations between the two countries remain strained, as a large number of Jordanians are of Palestinian descent.